Most of us will spend more time in a week at our jobs than at home—and more hours working alongside teammates than hanging out with our own families and friends. When a “job” feels like home and colleagues treat you like family, all that time spent feels much more rewarding. And, when an employer invests in your education and career path, you’re motivated to grow and learn—you care more about your work. 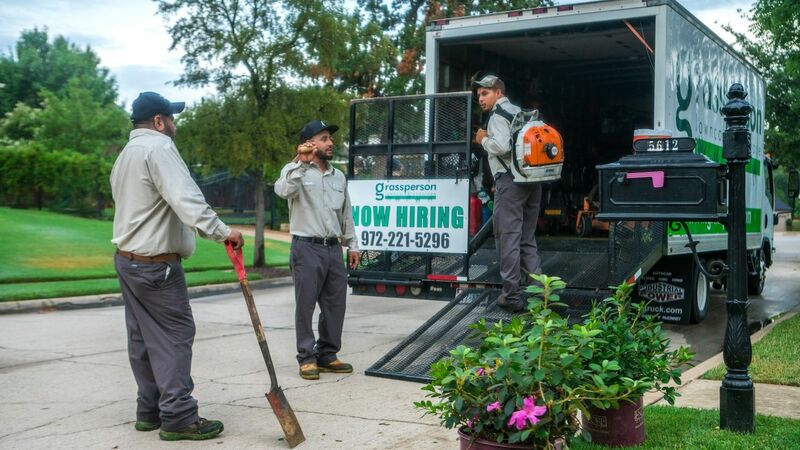 Many landscape companies will say they provide training and opportunities to “move up,” but we find that often isn’t the case. Our days are busy, and weeks fly by in the field. Dedicating time and resources to landscape training and education requires a commitment, and an investment by the company. 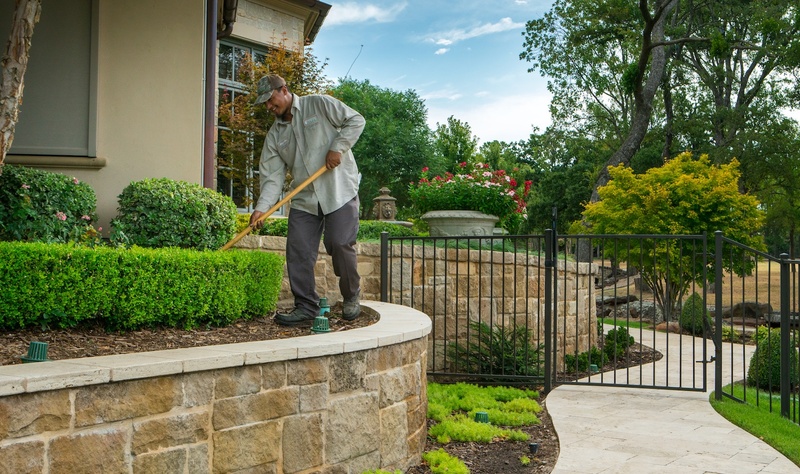 We believe the time, resources and energy put toward landscape training is invaluable. There are a few reasons why. 1. Landscape training promotes professionalism. 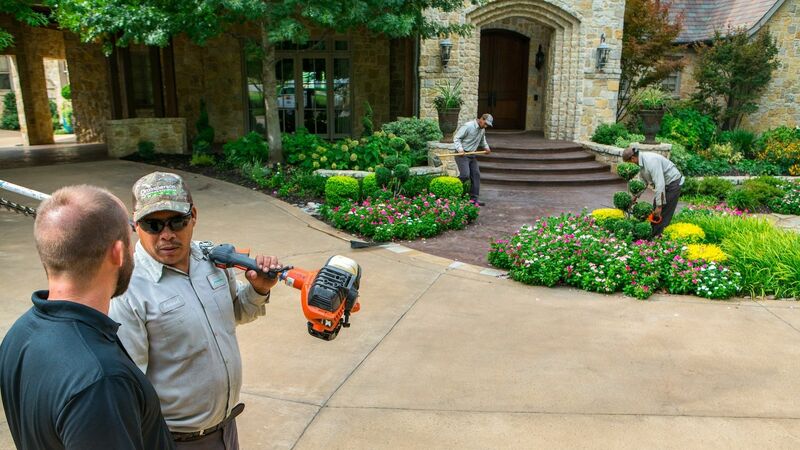 Expert lawn care technicians and landscape maintenance crew members perform quality services. And, their good work reflects positively on the entire green industry. As an organization that is involved in landscape industry associations on a local, state and national level, we believe that knowledge really is power. And, the more we know, the better we can help our customers solve their lawn care problems and get the best lawn on the block. 2. Licensing ensures safe, best practices. Certification courses provide landscaping curriculum that keeps us up to date on technology, equipment and best practices. That’s why we hold licensing through the Texas Department of Agriculture and completed a Chemical Lawn Care Management certification course through the University of Georgia. 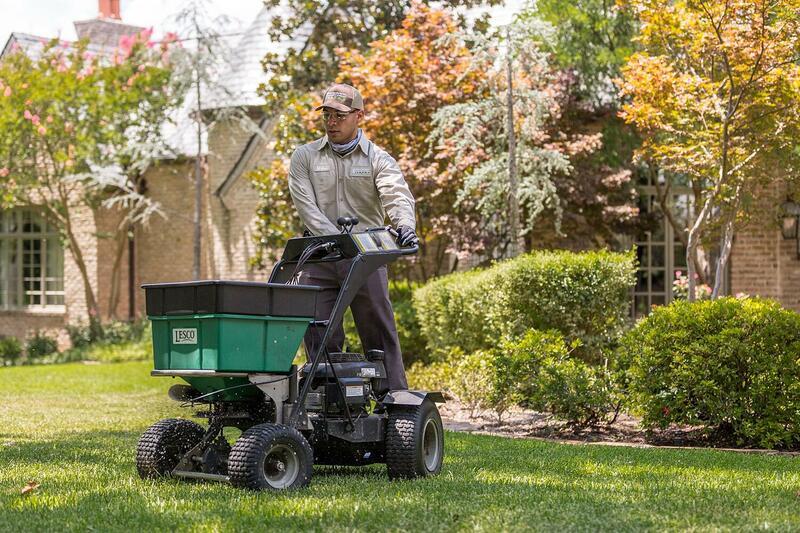 We send our people to local and national conferences so they can learn and grow as lawn care professionals. 3. Hands-on training sharpens skills. 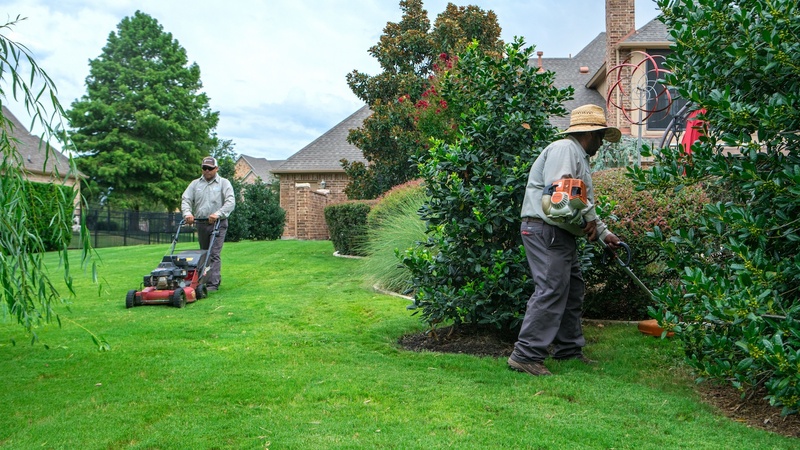 We partner new team members with experienced mentors who work one-on-one with them in the field to teach them the Grassperson way of providing lawn care—because we adhere to high standards when we service lawns in Highland Village, Flower Mound and Lewisville, TX. This not only gives our new technicians a go-to person to ask questions, it builds strong teams that depend on each other’s skills to get jobs done right. What landscape training and educational opportunities can you expect if you join Grassperson? Here’s a look at the hard and soft skills we help our team members obtain through ongoing education. 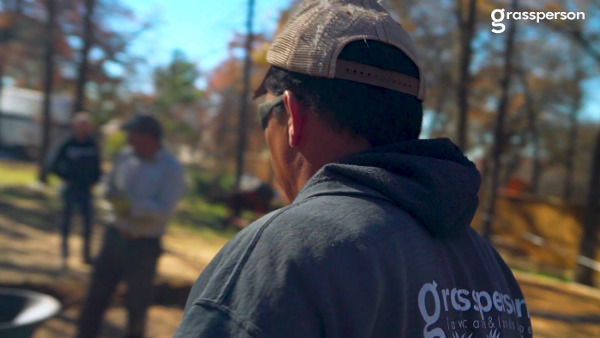 It’s important to note that training at Grassperson goes beyond landscaping skills and includes safety, problem resolution and process training. Safety extends to the roadways, so we focus on defensive driving for crew leaders who operate our vehicles. Equipment utilization is another skill we teach that relates to safety, and also helps us keep equipment performing like we expect. We provide training related to specific jobs—applying lawn care applications, lawn disease identification, proper mowing practices and so on. Crew leaders learn to use Service Autopilot and receive additional leadership training so they can effectively manage their teams and help foster a collaborative work culture. Account managers at Grassperson receive sales training and are mentored on how to negotiate effectively—and the importance of listening and customer empathy. 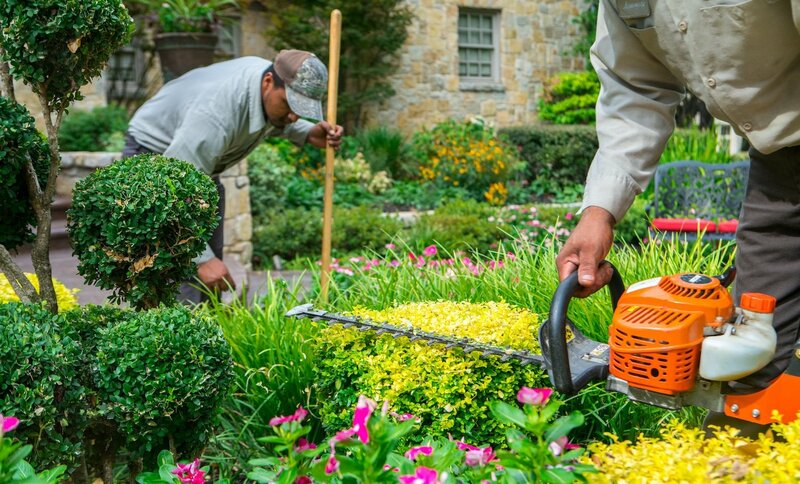 After all, we are here to solve our customers’ problems and take the burden of landscape maintenance off their shoulders. Our account managers are on the road, visiting with prospective clients and following up with customers to help them identify opportunities for improvement on their lawns. So, they learn to use Service Autopilot, our operating software. 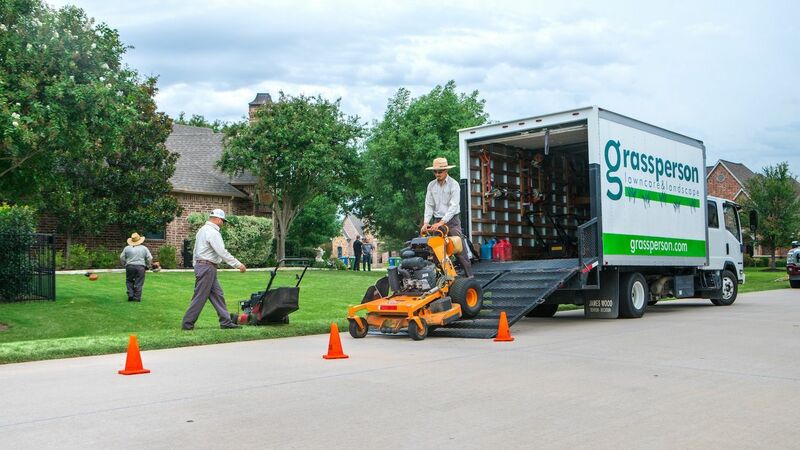 Every technician in the field is also a salesperson, and their work essentially “sells” our service to neighbors of clients who see customers’ healthy lawns and want to achieve the same results. Also, our technicians are consultants to customers, helping them understand problems in the lawn and solutions to improve their properties. Customer service training is integral—and that includes problem resolution. Our fertilizer technicians are also provided in-depth training on weed and pest identification, and we encourage continuing education and certification courses so they can stay on top of their game. 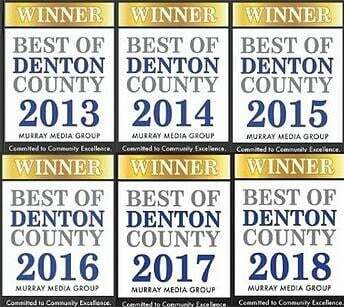 They understand the different turf types in Texas’ Denton and Collin counties and what these grasses require in terms of nutrition, weed and disease control, and continuous maintenance. We want our people to grow successful careers at Grassperson so they can support their families and achieve their professional goals and aspirations. Many of our people gain inspiration from the training and education we provide, and they see doors of opportunity open at the company. We provide careers, not just landscaping jobs. Explore our career center to learn more about what it’s like to work at Grassperson and the opportunities we provide.